Layoffs. Downsizing. Job cuts. Redundancy. These are unfortunate realities in doing business with the federal government. Your talented employees have made a commitment to your organization, and you have an opportunity to commit to them as they exit. Government contractors can provide a helpful bridge between an employee’s layoff and a new job through outplacement services. Outplacement is a career transition service employers can provide as a benefit to their employees, so each employee can cope with a layoff, map out a career transition, refresh personal marketing documents (resume, cover letter, LinkedIn profile), receive interview coaching and learn the necessary skills to conduct a 21st century job search. Alumni relations: Ambassadors of your organization. It is often said in government contracting that “the employee of today could be the client of tomorrow.” There are plenty of former government contracting employees who enter the federal government and could have influence over potential awards. Employees who are treated well on their exit could become an ally in your next bid. Employee retention: Morale among retained employees. Make no mistake. Current employees are also impacted by a layoff. When former colleagues receive a real “helping hand,” the rest of the organization will respond favorably and potentially enhance the organization’s reputation. Employee morale suffers during times of uncertainty and change — showing people that the company intends to look after its employees regardless of what the future holds is a powerful way to boost this morale. Employer brand: Protect your message on social media. Your employer brand, as a potential employer of choice, is often reflected throughout social media channels. With a quick Google search, a potential employee can learn a great deal about an organization. Employees who receive outplacement services feel less likely to write negative employer reviews online. Risk management: Reduces law suits. Study after study shows that employers who provide outplacement services mitigate their downsizing risks with fewer retaliation lawsuits. These benefits are good reasons to consider providing outplacement services the next time you transition employees out of your organization. 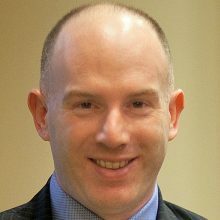 Jason Levin founded Ready, Set, Launch, LLC® after a career in brand management at Unilever, consulting at Accenture and employer branding sales at Vault.com. Career and outplacement coaching is his passion, and he guides executives and mid-career professionals of all backgrounds through career transitions, even into retirement. Jason works with his clients to land that next job, get a promotion, make a career change, start an entrepreneurial venture or transition into retirement. Jason enjoys speaking on and moderating panels and presenting career management seminars and webinars at staff retreats, conferences and training sessions. Jason has appeared on WTTG Fox 5 and CTV News and has been quoted in The Wall Street Journal, Money, Fortune and MarketWatch on career related topics. Jason is based in Washington, D.C., is married to a lovely red-headed attorney and has two red-headed boys.